It's that time of year. 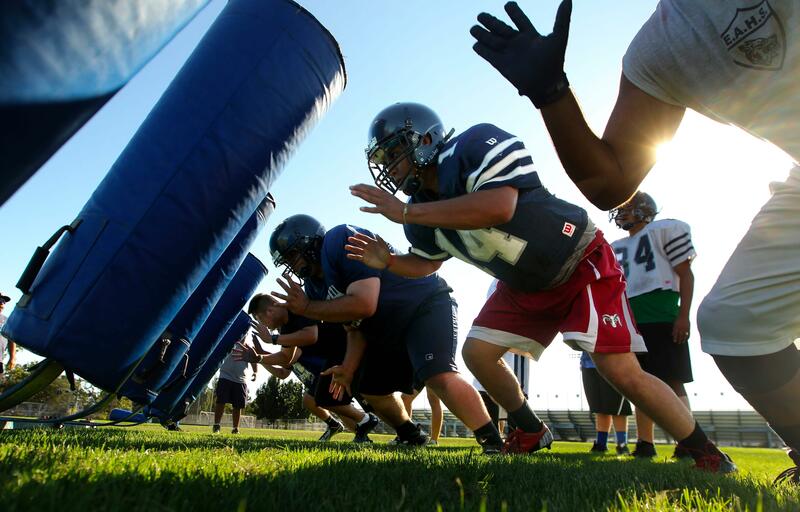 High schoolers are getting ready for another football season. And part of the ritual is preseason "two-a-days" - a training schedule of morning and afternoon practices designed to work off some of the video game induced flab; to take advantage of time before academics require attention; and to instill the fundamental disciplines upon which more advanced skills will be built during the season. Aside from the fatigue and pain, the heat is often oppressive and there's a certain unpleasant sensation donning clammy, sweaty gear that never fully dries. The locker room atmosphere is rather ripe, and the work on the field is repetitive and frankly boring. All in all, it's not a time that's particularly enjoyable - but success in the season is predicated on this work. And collectively these basic skills are referred to as the "blocking and tackling" - a term that's attained broader metaphorical use to refer to the basic executional skills required for success in a discipline. Of course it's not just high school football that requires boring background work to succeed. Whether you subscribe to Gladwell's 10,000 hour rule or not, you certainly can look back on your career and recognize major developmental milestones - that required a ton of hard, boring work to achieve. Industrial marketing and B2B marketing for manufacturers in general are no exception. There's expertise which is accumulated over years...and then there's the basic "blogging and tackling" that's required. The funny thing is that so many folks who wouldn't challenge the importance of blocking and tackling will dismiss the blogging piece. That's a huge error - and one that's entirely avoidable if we could just overcome what is basically a semantic hangup. Many manufacturing company owners will say "I don't subscribe to any, and none of my prospects will either. And we don't want our email in boxes filled up with extra stuff." I hear you....but you're missing the point. The blog serves a number of purposes. Maybe you and your team need a mini-camp to quickly cover the basics of how content marketing should work for your company. We run those (motrin not included) - let's talk about a workshop to cover the Xs & Os (with a bit of coach talk to fire everyone up) for you and your team. It's not a place for press releases. It's not worth having in your navigation if it's not active. Subscribers can receive updates at the frequency they prefer (each post, weekly, monthly, not at all, or by RSS) and you shouldn't worry about excessive emails. You probably win a lot of the deals you work on. So let's put this in other words. A blog is about making sure that all the prospects who would wish they'd bought from you if they knew you before they made their decision, actually find you in time. And that when they do, they're glad they did. And that once they're glad, you begin a virtual dialog. It's about creating opportunities for you and prospects to become acquainted. That may not be an important part of what your website currently does - but going forward it's critical to industrial marketing as we outline in this blog post. Here's the dirty secret that most folks won't tell you....because most folks don't understand. Having a blog, even an active one, does you virtually no good if you don't execute well. Maybe 90% of success in other disciplines is just showing up....but not here. who decided that 1/month, or 1/week, or 1/day is enough? Have you seen the stats on correlation between number of posts and results? if you write the same crap that you discuss at staff meetings.....NOBODY outside your company cares! failure to categorize in a meaningful way (from a prospect's perspective) means that nobody can quickly find the other 15 perspicacious insights you've had on that important topic....maybe they'll assume you just got it right once! when your post really resonates and someone is eager to get more of your insight.....and you offer nothing, you're wasting a nascent lead. Every blog post should offer the opportunity to take a deeper dive. Give readers a chance to download a whitepaper, or watch a video, or run a calculator on savings - something....anything! If they're into what you have to say, get their details and give them more! But....of course it's work. It's work to research your readers; the topics and required optimization. It's work to create a list of topics, to draft worthwhile articles, to format them and manage the required internal reviews. It's work to promote them after they're published and to go back to see what ones do well, determine why, and do more of that. There's work - boring, unpleasant work. Just like putting the wet-with-perspiration pads back on when they're cold and clammy is unpleasant during the two-a-days, doing the "blogging and tackling" required for excellence in industrial marketing is unpleasant too. But will you do it? You won't win otherwise. No matter how many excuses you have that sound very convincing to you and your team. Want to learn more about what's required? Then lineup and on my whistle download our free eBook Manufacturing Revenue Growth.